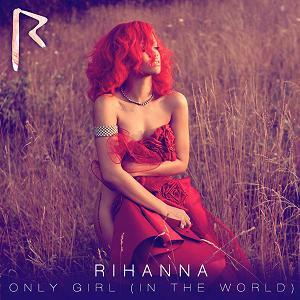 Barbadian superstar Rihanna, touring Australia early in the new year, has finally revealed the video to her latest single – the No.1 Aussie hit ‘Only Girl (In The World)’. It features the red-headed fiery temptress wandering along across a seemingly windy plain before she leaves it all behind for the comfort of flowers and fur. There’s a definite pink tint given to the final finish on it, which gives the impression that it’s all totally hot (which indeed it is), with plenty of colour, outdoor set-ups and costume changes and some night-time shots towards. But it’s the shot where Ri-Ri is surrounded by balloons in the middle of the lake that simply takes our breath away – one of the most stunning images we’ve seen in a video flip in a long, long time.